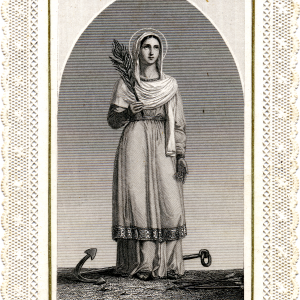 The figure of Philomena, young roman martyr, emerged after nearly seventeen centuries of silence. 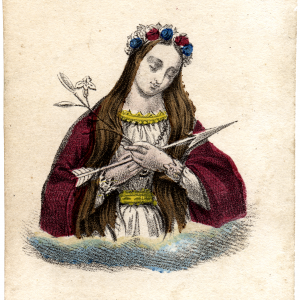 Since the finding of her body the extraordinary presence of St. Philomena in the Church began. Since then every Pope has venerated her with his personal devotion and millions of Catholics have felt her beneficial influence. She has been a model of spiritual life for many Saints, Blessed and Venerable. 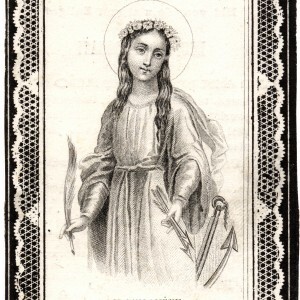 Great devotion toward St. Philomena has spread all over the world and Pontiffs have granted the Saint the “Liturgical Cult” with Mass and its own Office. The the sacred relics arrived in Mugnano the morning of August 10th and were placed in the Church of Our Lady of Grace. Since the wonders happening were many and the number of devotees kept increasing, a new Church of Our Lady of Grace was built in Mugnano. It contains a chapel where the sacred relics were translated on September 29, 1805, and where they still remain. 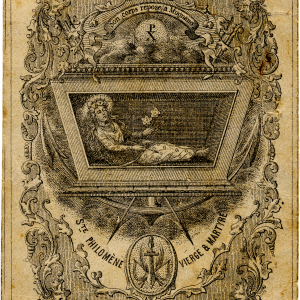 In Mugnano, the three stones that sealed St. Philomena’s niche in Priscilla’s catacombs, were solemnly displayed for public veneration of the faithful on August 4, 1827. Apart from the writing, what is striking is the richness of the symbols: two anchors, three arrows, a palm symbol of martyrdom, a flower. Externally, on the tomb of St. Philomena, there is the palm symbol of martyrdom and inside the glass vase with the blood, which, as we will see in the next chapters, has been subjected to the most rigorous exams. 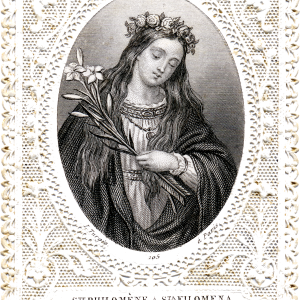 St. Philomena has ascended to the glory of the Altars not for what we concretely know about her brief earthly existence but for the countless graces and miracles that God has lavished through her powerful intercession. That which is missing in the veneration of St. Philomena regarding historic records, is abundantly compensated by the richness and multiplicity of all the miracles performed thanks to her intercession from the day of the translation of her bones from Rome to Mugnano, up until now. Rightly, Pope Gregory XVI defined her the “Thaumaturge of XIX century”. 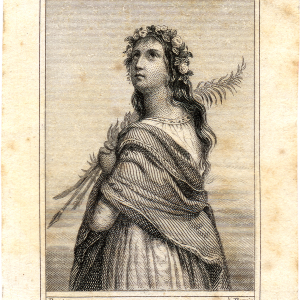 In the nineteenth century the figure of Philomena, young roman martyr, conquered hearts. The cult expanded rapidly. Many devotees trusted her protection and, of these, we remember Pauline Jaricot, founder of the Society for the Propagation of the Faith, and the Living Rosary; the young John Maria Mastai Ferretti, who will become Pope with the name of Pius IX and will be beatified; the shy priest John Marie Vianney, the Cure of Ars, singled out by St Pius X as the guarantor of St. Philomena. 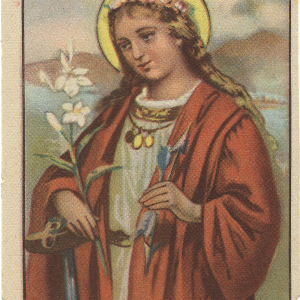 They were all seriously ill and were perfectly cured from their illnesses as a result in their faith in St. Philomena. Mons. Anselmo Basilici, Bishop of Sutri and Nepi, was a tireless promoter of the cult of St. Philomena. Mons. Basilici had received a few relics from Mugnano and wanted to divide them between the Churches of his Diocese. He wanted to please all the applicants, but he did not know how. At this point the relics prodigiously multiplied themselves. He also declared that he received requests about relics from Cardinals and Bishops to promote the devotion and that he managed to meet the demands of everybody. 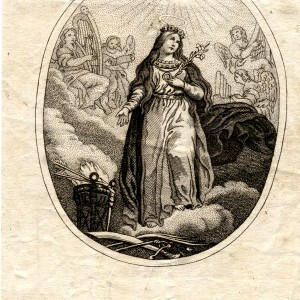 The on June 17, 1835 a division of the dust belonging to the sacred Body of St. Philomena was solemnly carried out by in front of many witnesses that confirmed the prodigy. What amazes both the ordinary faithful and the diligent researcher about the Philomena phenomenon is realizing how fast the cult of St. Philomena is spreading all over the world. 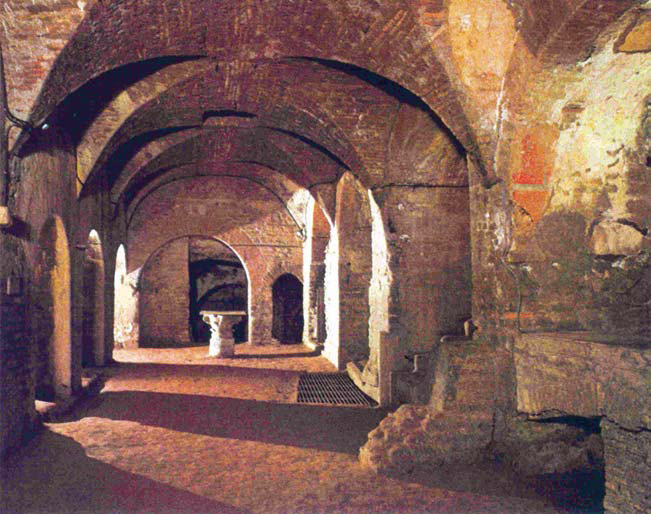 For about seventeen centuries her bones had remained in the oblivion of Priscilla’s Catacombs in Rome. In a few years the devotion towards this young girl has spread in the whole world matching, and even exceeding, the devotion towards other martyrs venerated in the past. 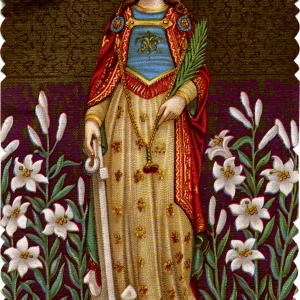 Before the decree of the Congregation of Rites of 1961, St. Philomena was venerated and her figure was present in all the hagiography books. After 1961, not only was she removed from the liturgical calendar, but in the majority of hagiography books she was treated as a symbol for all legends. 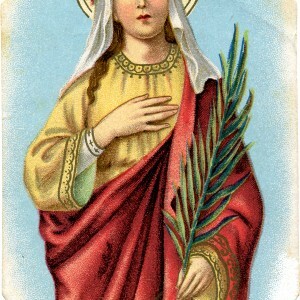 Therefore, just like the other “obscured” Saints, there were those who continued to venerate St. Philomena more than ever, while others, confused, fell by the wayside. 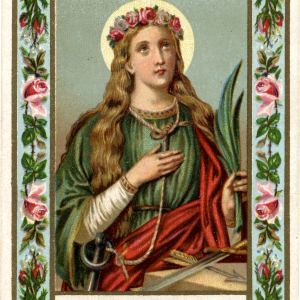 If so many High Pontiffs have approved her cult, St. Philomena is a reality, and cannot be relegated into legend. 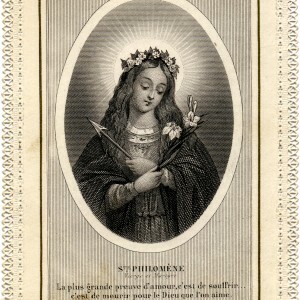 The importance of the cult of St. Philomena can be evinced not only from the official Church documents, but also from the personal devotions that Popes that have had towards our Martyr. Leo XIII (1878-1903). He came in pilgrimage to the Sanctuary of Mugnano when he was still Archbishop of Benevento. On December 15, 1883, Leo XIII approved the use of a red and white cord in honor of the Saint. Furthermore, on September 24, 1889 he granted the title of Archconfraternity (solely to France) to the Work of St. Philomena, and in 1902 he wanted to celebrate in Rome, in Priscilla’s Catacombs, the first centenary for the finding of the Saint martyr’s body. 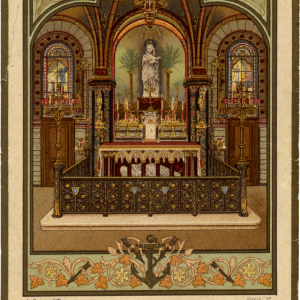 Furthermore, he sent two gifts to the Sanctuary in Mugnano: in 1888 a nice pastoral and on the May 25, 1902, on the centenary of the finding of the relics, a wonderful missal. St. John Marie Vianney, Curé of Ars (1876-1859). It was Pauline Jaricot who talked to him about the Saint of Mugnano and introduced her to him. It was she that gifted him with one of her relics. There is not a biography of the Curate of Ars where our Saint is not mentioned. In France he was the greatest promoter of the devotion towards the Saint of Mugnano. 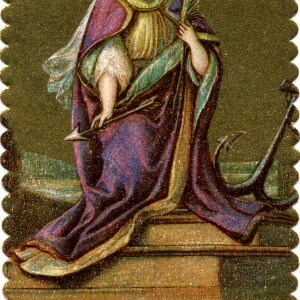 He had a statue of St. Philomena placed in his parish church, and then built a Basilica in her honor in Ars. This Basilica, built in the same style of the one in Fourvière, which dominates over Lyon, was terminated after the death of Saint John Marie Vianney. The Saint Curate attributed to the intercession of our Saint, all the numerous miracles performed in Ars. 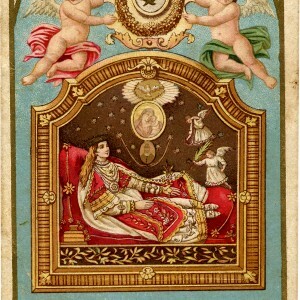 St. Peter Louis Marie Chanel (1803-1841). He was missionary and first martyr (April 28, 1841) of the mysterious and wild Oceania. 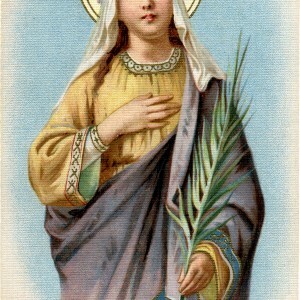 His mutual devotion for St. Philomena came from the Curate of Ars. When he embarked in 1836 for the Archipelago of Tonga, he had in his breviary three pictures: Our Lady, St. Joseph and St. Philomena. To the young St. of Mugnano he would turn in the difficult moments of his apostolate amongst the mistrustful and hostile indigenous. Although not expert in constructions, he started building, trustful in “a Saint for whom he harbors a great devotion”. In honor of the Saint he recited a novena every year in the period of her feast. 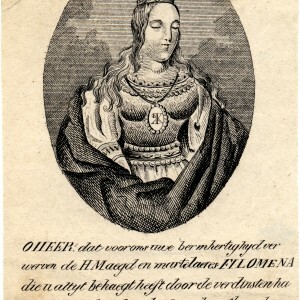 To one of the first baptized he gave the name Marie Philomeno. 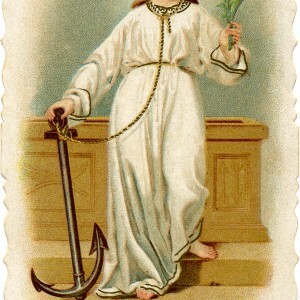 St. Madeleine Sophie Barat (1779-1865). She founded in 1802 the Society of the Sacred Heart. In the difficult times of her life and her religious order, Mother Barat invoked with faith the Saint of Mugnano. In her biography she states that on the 11th of September 1846 Barat placed her hands on a surgery patient who was instantly healed. 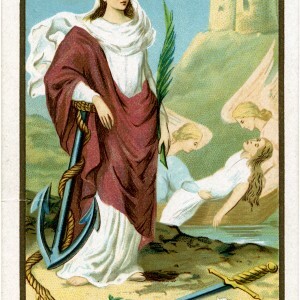 She attributed her healing to St. Philomena, whom she had invoked. St. Pio of Pietrelcina (1887-1968). 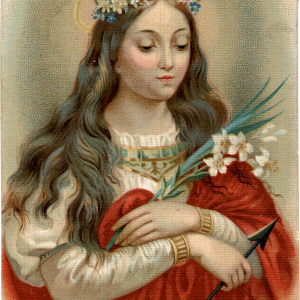 For her St. Philomena was the “Princess of Heaven”. After the liturgical reform of 1961, Father Pio used to imperatively reply to whoever dared to doubt the existence of the Saint: “for the love of God! It might well be that her name is not Philomena, but this Saint has performed many miracles and it is not the name that did them.” This is the wisest reply: who wants to understand, will understand! The Blessed Anne Marie Taigi (1769-1837). She received the healing of one of her young nieces. 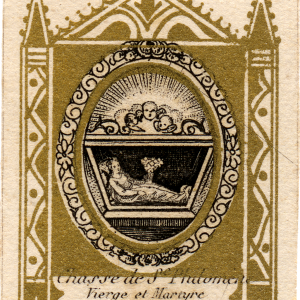 The Jesuit P. Gabriel Bouffier affirms that this admirable mother invoked the young Martyr from the Catacombs every night and made her family invoke her also. She had her image displayed in her house and on death’s door, like a good Christian mother, after having given the last recommendations to her sons, she placed them under the special protection of St. Philomena, of whom she had always propagated the cult. Venerable Pauline Marie Jaricot (1799-1862). Pauline Marie Jaricot, founder of the Living Rosary and the Society for the Propagation of the Faith was highly appreciated by Pope Gregory XVI who wanted to personally receive her when she passed through Rome. 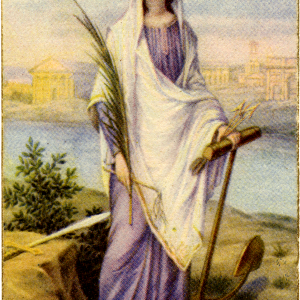 She had been directed to Mugnano to invoke her healing to our Saint. The astonishing miracle of her healing, which he verified in person, induced Pope Gregory XVI to sign the well known decree of 1837. 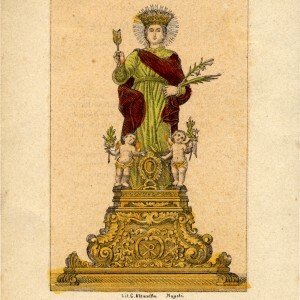 It was she that gave the relic of St. Philomena to the Curate of Ars and she was one of the promoters of Philomena’s devotion in Lyon and in the whole of France. Servant of God Sister Marie Louise of Jesus (1799-1875). 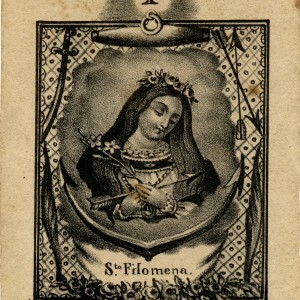 Intent on spreading of the cult of St. Philomena and by the echoes of her miracles in the Kingdom of the Two Sicilies, she founded the religious family of the “Oblates of Our Lady of Sorrows and St. Philomena”. However, her “revelations” on the life and martyrdom of St. Philomena, although answering the need to know more about her life, has effectively brought our Saint towards the legend, detaching her from history. 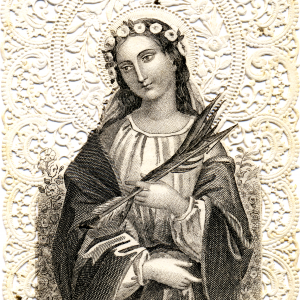 In truth the cult of St. Philomena did not start from her revelations, nor has it been divulged through them. The Church, in all the official acts in relation to the cult of our Martyr, has never taken it into account. There is however the sincere devotion of Sister Marie Louise and the beneficial influence that her written work has given to the veneration of St. Philomena. 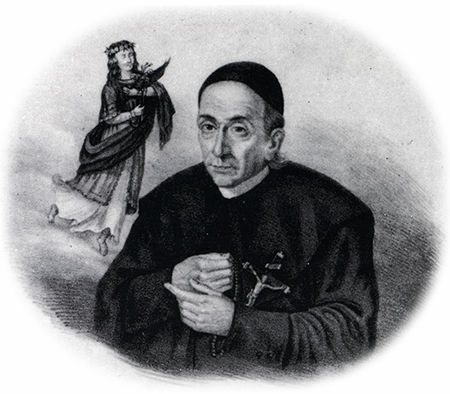 Venerable Jean Claude Colin (1790-1875). Ordained priest in 1816, he founded the Society of Mary. On April 29, 1836 Pope Gregory XVI approved the Marist Congregation and in 1837 Colin was elected its General Superior. Father Colin used to turn to St. Philomena with the same love and trust of the Curate of Ars. In Belley, in an old Capuchin Monastery, he founded an oratory dedicated to the Immaculate Conception, in which he placed a statue of St. Philomena. Abbot Louis Petit (1852-1914). He cultivated within his family the love for St. Philomena. He was a seminarian when his parents moved to Paris, living in the area of the parish church of St.-Gervais. This church was the only one in the capital with the cult of St. Philomena well established. In 1872 he founded the periodical L’Echo de Ste. Philoméne, which he managed to publish for two years. Not yet a priest, he also published Histoire du culte de St.e Philoméne, “History of the cult of St. Philomena.” He was ordained in 1879 and two years later joined the Congregation of St. Vincent de Paoli, where he was director of the Messager de Ste. 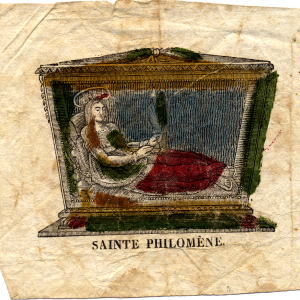 Philoméne until his death. 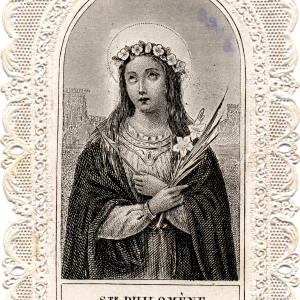 The purpose of his life had been the spreading of the cult of St. Philomena and he created a center from which to radiate it. Father O’Sullivan spread the cult of St. Philomena in Portugal, Ireland, and USA. 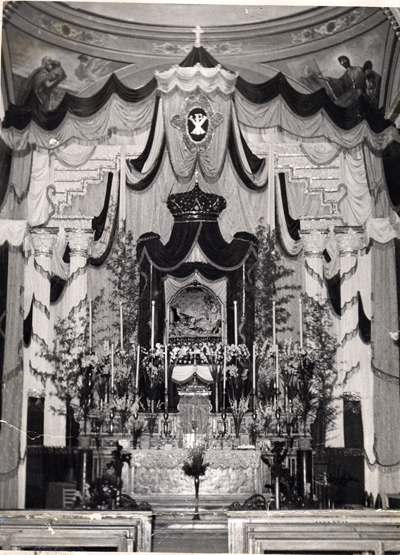 In 1852 the Sanctuary was visited by: the Bishop of Chicago, Mons. John James Oliviero Vande Velede; Mons. Vincent Spaccapietra, Archbishop of Smirne, John Hilary Bost, Bishop of Merida in the Venezuelan Republic.